This mod re-enables the cheats option in the hub but at the moment it disables stats but i'm working on fixing this. I have now fixed this issue. 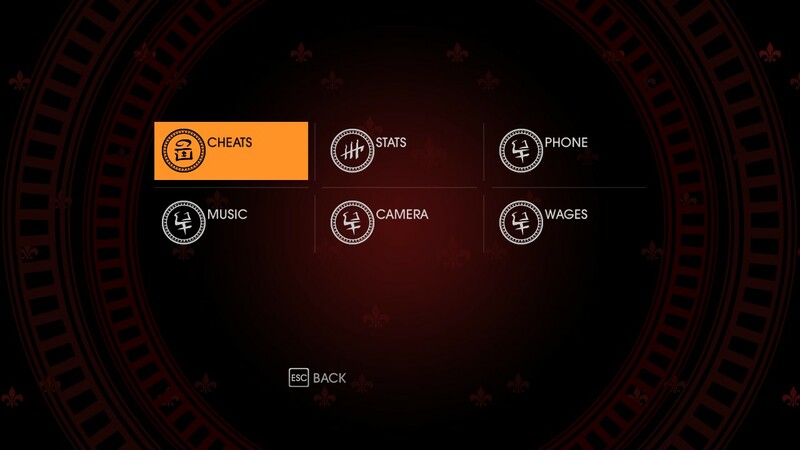 You can also download and use IdolNinja's Additional Cheats for Saints Row IV to add a lot more cheats and also to make cheats not flag your gamesave. When in-game go into your settings>controls and press F1 to reset controls and again in Set keys & buttons. At the moment the phone menu is a little buggy so if the menu gets stuck you will need to reload your save. IMPORTANT.Use IdolNinja's additional cheats to add a vehicle to your garage first. e.g use cheat GivePony or else the menu will freeze. Fixed in V4. Included unlockables.xtbl to provide you with something to put in the phone. Vehicle scanning does work all you have to do is press 'N' and it will save your vehicle(no icon will appear on screen) Scanning the bear and calling it in means you will be stuck in the bear until it blows up. MLVNRT, JosefStainer, DeadXeno and 25 others like this. This is perfect i'm gonna install it right now. *EDIT* Just thought i would let you that the read-me says the root folder but i'm pretty sure you load mods out of the "mods" folder that installs with GOOH. could be wrong. It would be a good idea to list each cheat in both the OP, and the readme so players won't have to dig through the table. Yeah i will get a list of all the cheats just to see if there are any extra cheats added in this game as i'm sure all the cheats from SRIV work. I may have found a way to enable the mysterious cheats like Golden Gun and Slo-mo. But I'm still working on it. Having a cheat menu will definitely help! Thanks! I haven't found any extra cheats in the cheats.xtbl so you can just get Golden Gun and Slow-mo from IdolNinja's Additional Cheats mod.